Make your signature desserts shine! Plastic cups are ideal for serving gelato to customers who don’t like the mess or who want to enjoy different flavours all at once, in the same spoonful. With a wider bottom, you can serve multiple scoops conveniently. 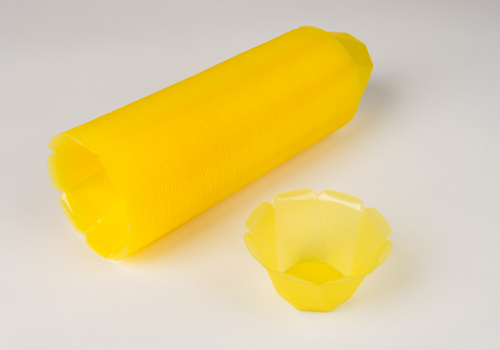 These plastic cups feature a fun wave design and come in vibrant colours, perfectly complementing your gelato, yogurt, sorbets or other frozen desserts and even fruit salads. 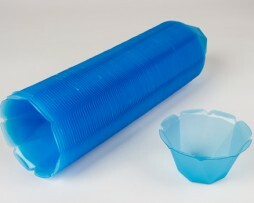 Use cups to easily add toppings such as syrups or sprinkles to level up the gelato or ice cream. Or use them to serve small servings of snacks like chocolate, biscuits or crackers. 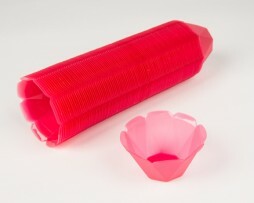 Lightweight and comfortable to hold, the cups are ideal for catering parties, birthdays, weddings and other functions. These yellow cups have a 150 ml capacity. You can order in packs of 100 or 1000 cups.